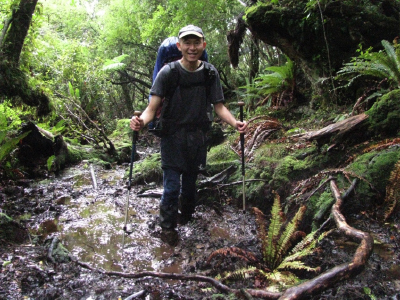 Eiji Kitai, a Greenstone Track hut warden from Queenstown, is spending four months this summer walking the Te Araroa Trail enjoying the environment, meeting new people and spreading the word about the projects of the Routeburn Dart Wildlife Trust. Starting in September, he will spend two months in the North Island and then, after his summer employment, resume walking in April - to complete the South Island section of the trail by the end of May. Eiji has met many Te Araroa walkers over the years as they pass through his hut. This inspired him to head out and experience the 3000 km walk himself. If you want to help Eiji support the RDWT, please go to the RDWT website and donate. One cent a kilometre is $30, ten cents is $300. Follow his progress here or on our Facebook page.